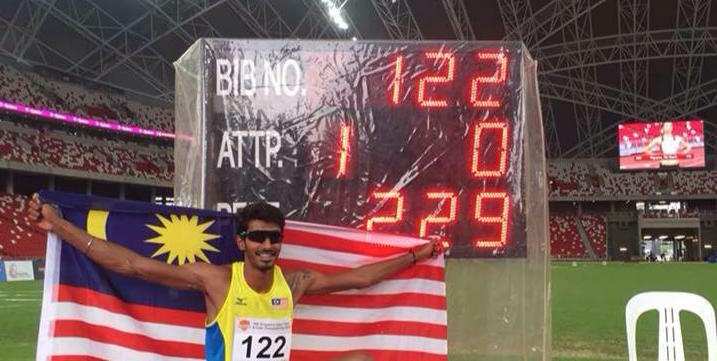 Malaysian high jumper Nauraj Singh Randhawa shattered the national record to qualify for the Rio De Janeiro Olympics after winning gold at the Singapore Open on 28 April 2016. The two-time Sea Games gold medallist cleared 2.29 metres to match the Olympic qualifying standard while also breaking the national record of 2.27m held by Lee Hup Wei. He had set a personal best of 2.25m in high jump at the Canberra Track Classic in February. Nauraj, 24, becomes the first national track and field athlete to earn an Olympic berth for Rio and joins 12 other athletes from archery, cycling, diving, swimming, sailing and shooting in heading to Brazil in August. This marks the first time a Malaysian track and field athlete reached the Olympics without a need for a wild card since Beijing in 2008 when Hup Wei, Roslinda Samsu and Yuan Yufang qualified on merit, according to a report at NST.